The emblem of our new logo indicates human figures(s) which indicate we are dealing in Human Resource Management. The new logo has a unique combination of 3 colors RED, GREEN and BLUE. The RED, we envision it as a positive color. It indicates our rapidity to activate, motivate and infuse passion in our dealings. Red color also signifies our pioneering spirit and leadership qualities. It also signifies our ambition and determination. The GREEN color indicates our commitment towards our Responsibilities through systemized handling of the services. Green is the color of balance and growth. Green promotes love of nature. Commitment to preserving environment. This color relates to stability and endurance, giving us persistence and the strength to cope with adversities that may come. The BLUE color is of trust. It suggests loyalty and integrity as well as conservatism. This also signifies idealism, constraint, courage to face difficult situations. Importantly, the blue color also indicates that our major workforce is blue collar workmen and our business is dedicated to their prop up and uplifts them by providing them the means of livelihood and prepares them to be responsible and useful citizen of India. The logo thus symbolizes the blend of cherished vision of ALL Services Global Private Limited. At ASG, we help our clients to realise the true value of their facilities and their people by developing and managing intelligent and cost effective FM solutions. We aim to take care of your mundane day-to-day operations, freeing your company’s resources up to focus on developing your core business. To achieve this we offer facilities management solutions, property maintenance services, project co-ordination and a host of other services designed to streamline your business processes. It order to maximise the potential of your assets, they need to be properly organised and managed. This is where we come in. Using our advanced knowledge of facility maintenance, ASG can tailor you facilities management services that address the specific needs of your company. The facilities we manage on behalf of our clients are ultimately about the people that use them. From offices and residences to schools and hospitals, we ensure that vital equipment and infrastructure operates safely, efficiently and reliably. 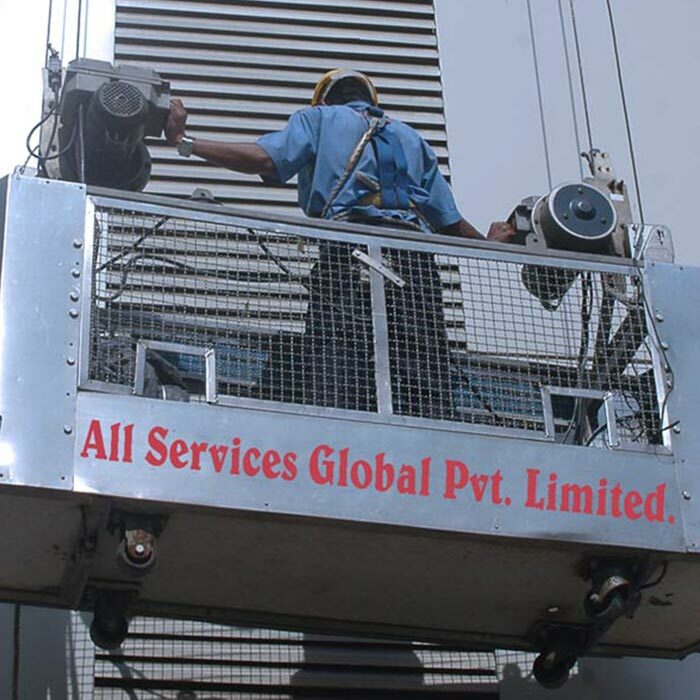 We utilize advanced technologies to manage our customers’ assets. We are a strong and diverse network of employees and suppliers committed to exceeding our customers’ needs and expectations. We are a mission and values driven organization. To have dynamism, customer focus, high quality and competitive services are the 4 pillars that will help us rise to the top as India’s foremost facility services management company. Facilitating the youth with vocational training with provisioning of indoor / outdoor employable skills in order to make for them easy and prompt access on the jobs on one hand, and consequential impact of poverty reduction, as far as possible, in the area on the other. In addition the program will help in their personal development and for socio-economic up-lift of the people at grass root levels. Elimination of gender discrimination by helping the women become economically and socially stable in the society. Our environmental health and safety program is comprehensive and is crafted to comply with client safety regulations. We give personal attention to our clients' needs. We control costs through effective program management, where safety and quality are never compromised.